chapels in Nebraska with seating up to 300 people. 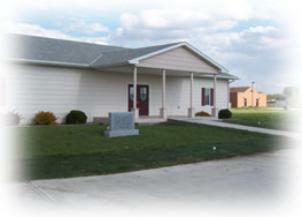 As in Schuyler, the chapel affords a variety of set ups to meet any size funeral service. David City also has a spacious kitchen area which is used for family needs during the visitation as well as for coffee receptions following Vigil and prayer services. The chapel is well suited for those who have no church and also need a place in which to hold lunch following the funeral services. The entire facility is handicapped accessible with no steps and has large restroom facilities. There is off-street parking for over 90 vehicles as well.